Lincoln was born in Aotearoa-New Zealand to parents of Thai and Chinese ethnicities. He is a philosopher, for whom ethical-political responsibility for others is at the heart of his work. 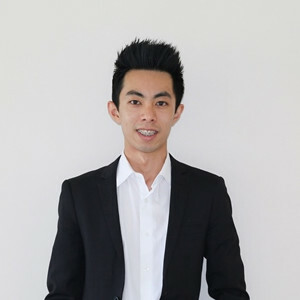 Lincoln holds a Bachelor of Arts (Hons) with First Class Honours and is currently completing a Doctor of Philosophy (PhD) at the University of Auckland. Supported by a University of Auckland Doctoral Scholarship, Lincoln’s thesis explores possibilities for the simultaneous pursuit and coexistence of biculturalism and multiculturalism in Aotearoa-New Zealand. His most recently published work is titled, “Love and politics: Rethinking biculturalism and multiculturalism in Aotearoa/New Zealand”, in the book Mana tangatarua: Mixed heritages, ethnic identity and biculturalism in Aotearoa/New Zealand (Routledge, 2018). Alongside his studies, Lincoln is a Professional Teaching Fellow in Te Puna Wānanga (School of Māori and Indigenous Education) at the University of Auckland. Courses he contributes to and/or coordinates include EDUCSW 201 Diversity in Aotearoa/New Zealand; EDUC 211 Schooling Ethnic Diversity; EDUC 360 Treaty Politics in Education; EDUC 712 Race, Ethnicity and Education; and EDUC 716 Education and Diversity. Lincoln is currently a Member of the Asia New Zealand Foundation’s Leadership Network and a Member of the Royal Society of New Zealand (MRSNZ). Other roles he has held include Head Boy at Waitakere College, Youth Member of Parliament for Te Atatū, Office of Ethnic Communities’ Young Leader, New Zealand’s representative at the 2013 Asia-Pacific Meeting in Thailand, and founding member and Chairman of the New Zealand China Trade Association Young Associates.